Oh man, we did so much in San Francisco. I'm warning you in advance: this post is going to be super-duper long. 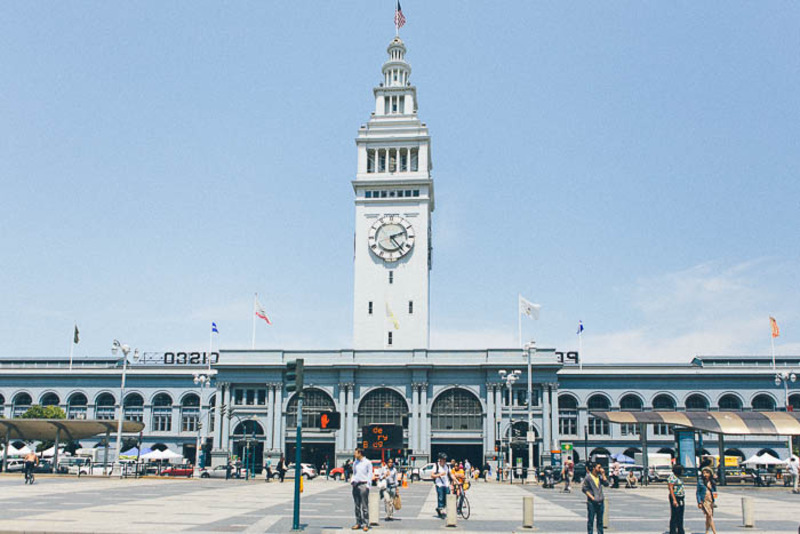 Our time in San Francisco was filled with familiar faces and the all-too-familiar fast pace of metropolitan life that we realized we don't miss much. Not yet at least. It was particularly hectic and busy the week we were there, due to Gay Pride Weekend (the same week the Defense of Marriage Act was repealed by the Supreme Court), the Fourth of July, and the first BART strike in 16 years (causing crazy traffic). Our first encounter with San Francisco was the Dyke March in Dolores Park. We were invited by my friend Rachel who was meeting some friends in the park to participate in the festivities. After spending nearly half and hour trying to find parking for B.B. on the tiny, crowded streets of the Mission, we found spot and walked over with throngs of scantily clad young people towards the park. 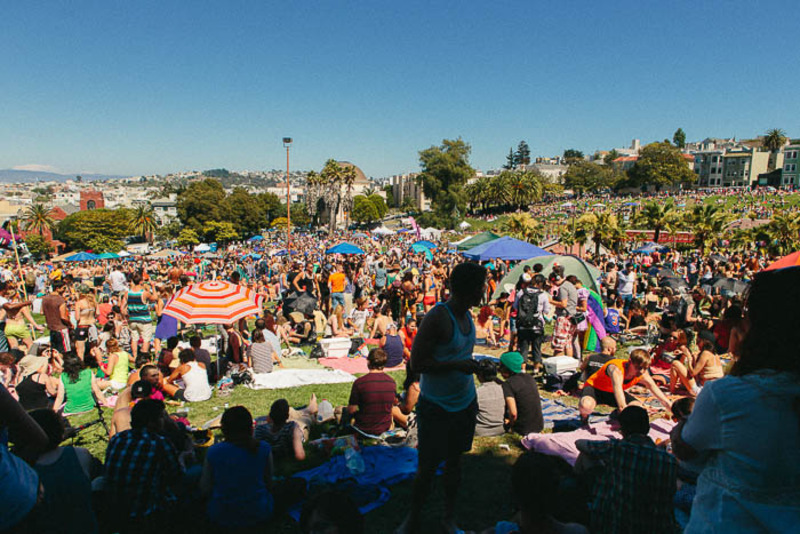 The park, located on top of a hill with amazing views of downtown San Francisco, was a crazy mass of rainbows, young hip people, men in small underwear, bare breasts, pot smoke and palpable excitement and happiness. It was like being at a music festival, minus the music. We found Rachel and her friends, were handed beers and spent the unseasonable hot and sunny afternoon laughing, catching up and people-watching. We had to part ways early to meet Shane and his parents, who happened to be in town, at Heather's apartment in the East Bay. John, Shane and Heather went to high school together and hadn't seen each other in years; we spent a lively evening catching up, getting to know each other, eating homemade food and doting affections on Bulleit and Heather's two sweet little pups. We were all reluctant for the evening to end so we planned to have everyone over to the Airstream for a barbecue the next afternoon. We all picked up right where we left off, eating turkey burgers and watermelon and trying to shade ourselves from the hot sun. Late in the afternoon, Shane and his parents had to leave for another engagement, so John, Heather and I decided to drive across the peninsula to watch the sun set over the Pacific Ocean. 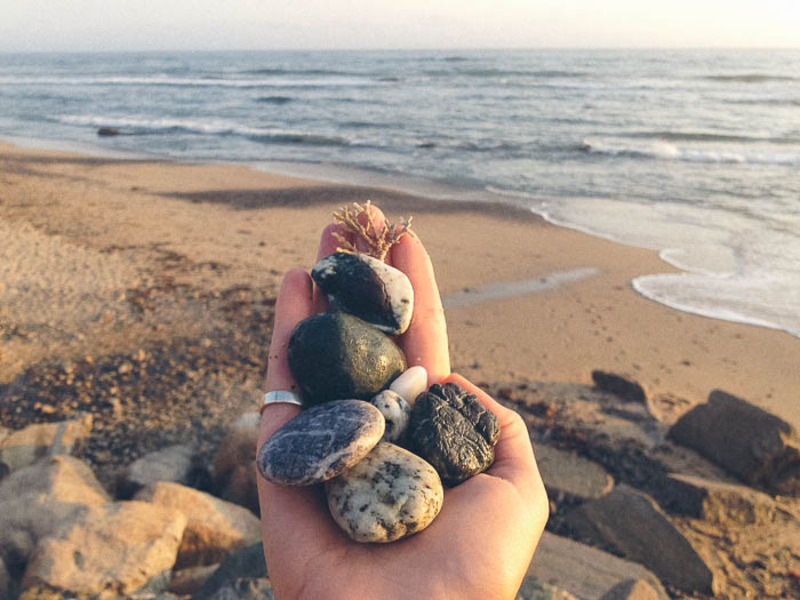 Thirty minutes and worlds away from the suburbia of Silicon Valley, Half Moon Bay is a charming beach town surrounded by lush farms and lined with beautiful beaches. 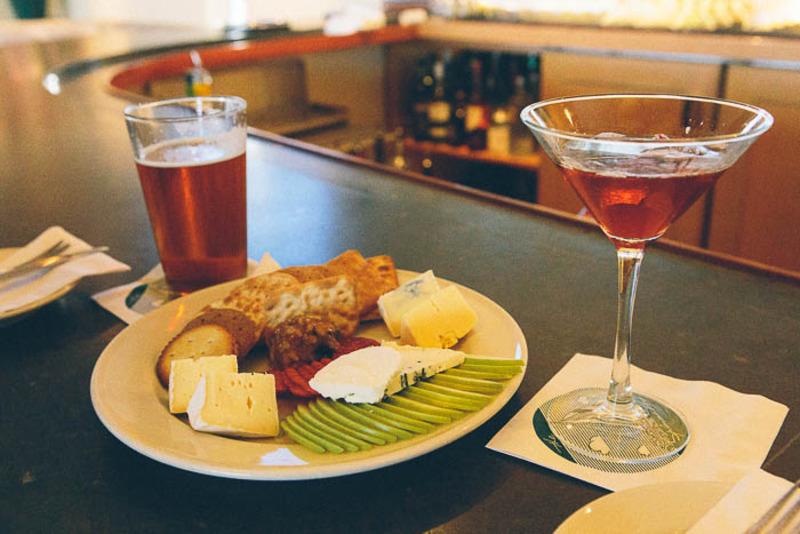 We stopped at a local market to pick up a few beers and some fancy cheese and headed towards Moss Beach. Enclosed by steep cliffs, Moss Beach is home to a herd of seals who were basking on the beach at dusk. 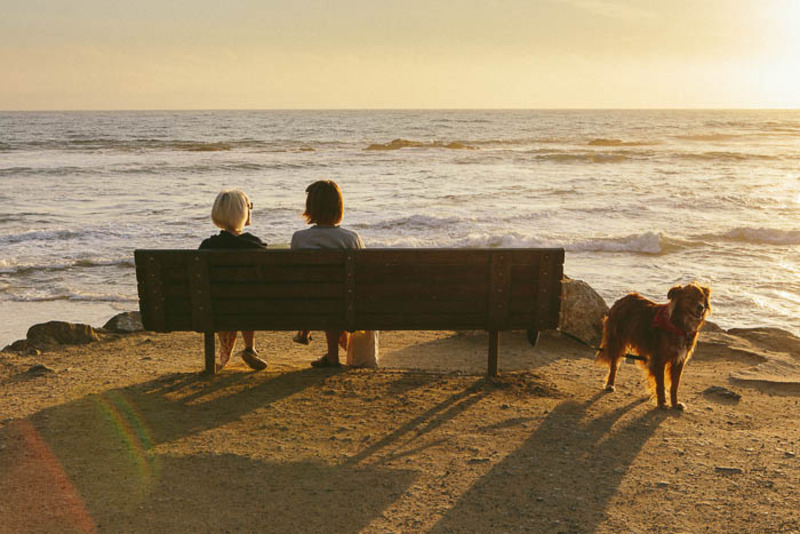 We posted ourselves on a bench overlooking the ocean, discreetly sipped beers and nibbled on cheese, collected beach treasures and watched the sun slip below the horizon. The next day, we picked up Shane and headed to the Ferry Building to find some sandwiches for lunch. We sadly just missed the farmer's market, mostly because finding parking for a 21-foot-long truck in downtown San Francisco is nearly impossible. 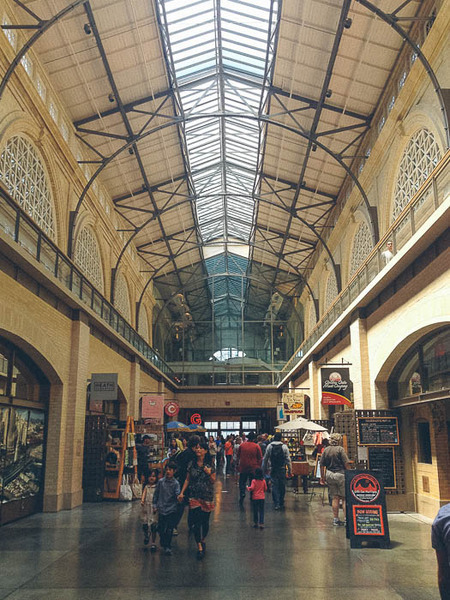 But we did get to wander around the lofty Ferry Building, ducking into cheese shops, winding through artisanal bread stands, and avoiding the mile-long Blue Bottle Coffee line. We finally chose a place to procure a perfectly-crafted sandwich and hurried out to find a quiet place to scarf them down. 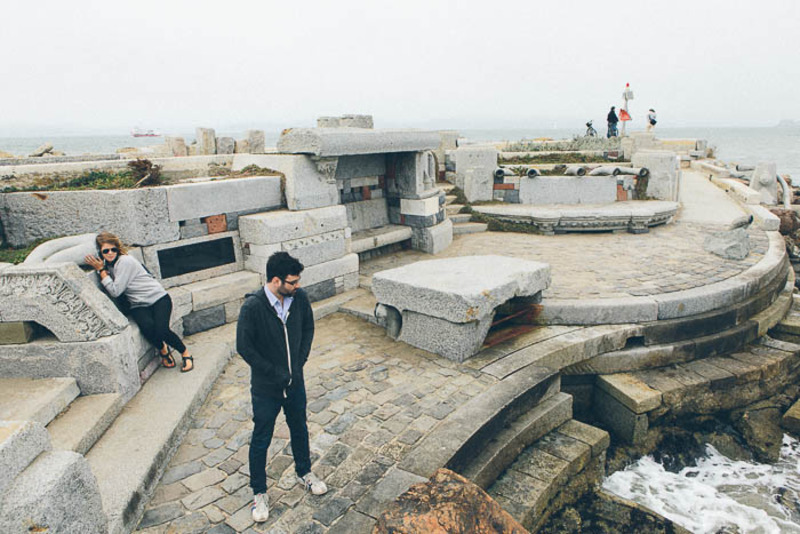 After finishing out sandwiches, we were on a mission to find the Wave Organ. 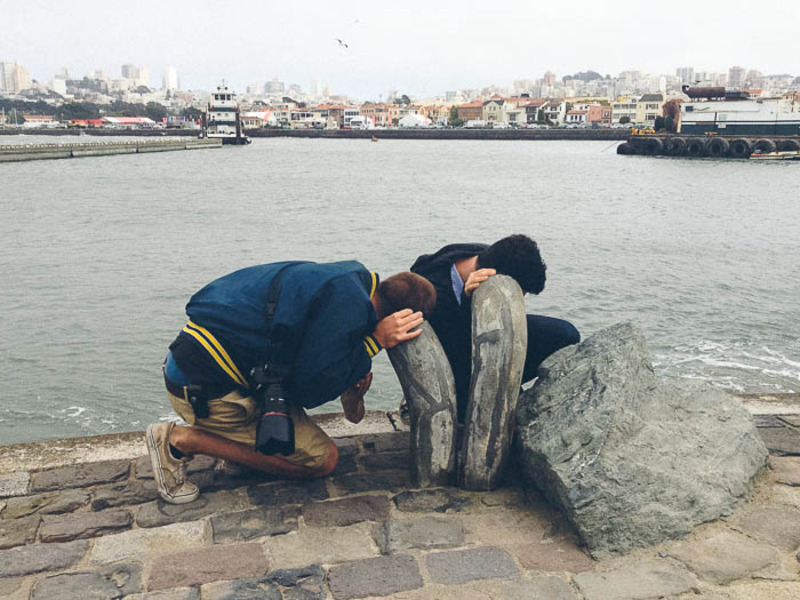 Located at the end of Pier 15 on the San Francisco Bay, the Wave Organ was constructed in 1986 by artist Peter Richards and sculptor George Gonzales. It's more or less what it sounds like; it's a wave-activated acoustic sculpture made of 25 PVC organ pipes with one end open to the lapping waves of the Pacific Ocean and the other end sticking out of a multi-leveled pavilion. We put our ears to the open pipe, ready to hear beautiful ocean music, but all we heard was what sounded like some water sloshing around in a PVC pipe. If they were going for "organ" status, the result was very, very subtle. Trying multiple pipes in hopes of finding one to be a bit more musical, we were sorely disappointed. 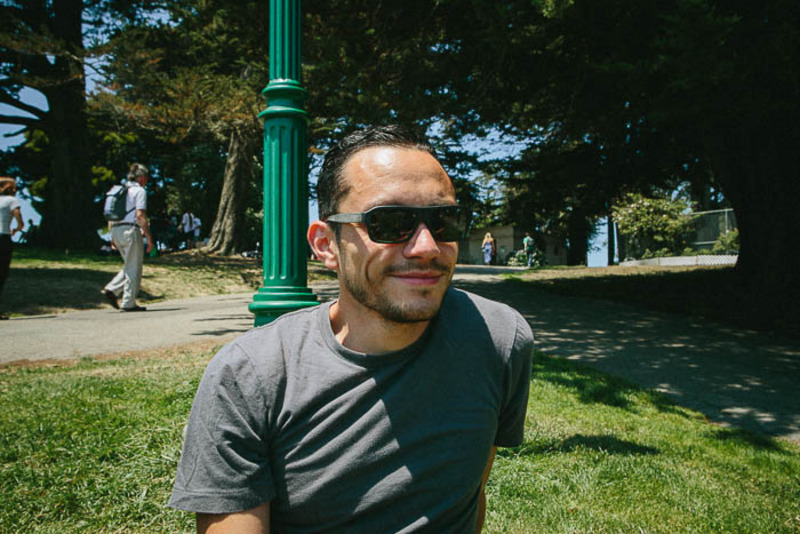 July 4th, we met Hector, a friend from my coffee days in NYC who had recently moved to the Bay Area, at a hip new coffee shop in the Lower Haight. 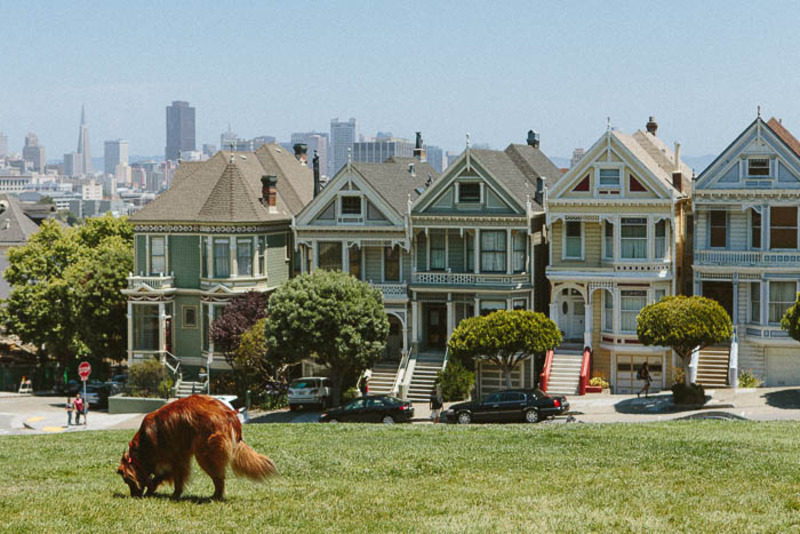 We took our cold-brewed iced-coffees to the nearby Alamo Square to bask in the sun and catch up. 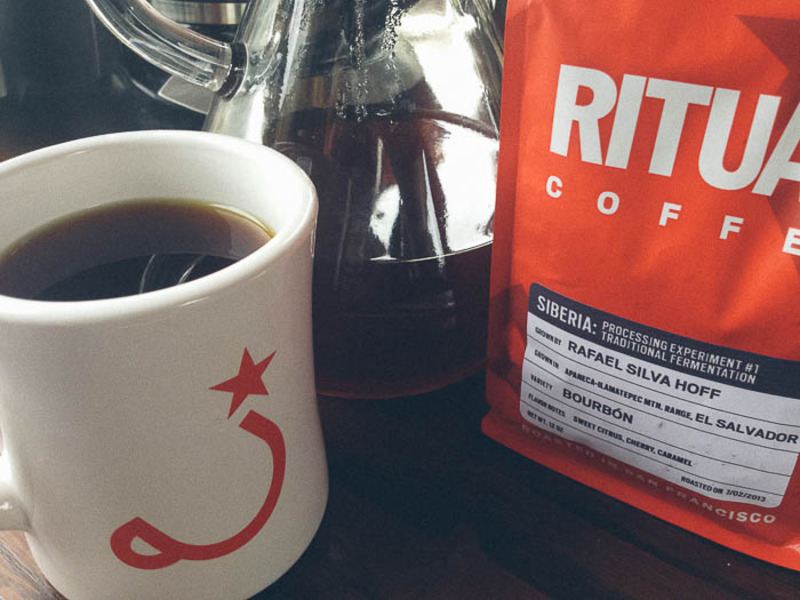 Thanks again for the coffee Hector! It was delicious! Hector had to leave to go to work, so we decided to cross off some suggestion from our map, namely burritos from Papalote Grill and Baker Beach. To our dismay, Papalote was closed and Baker Beach was insanely crowded (stupid holidays! ), so we settled on mega burritos from Gordo Taqueria and Ocean Beach on the western edge of the peninsula. The burritos were delicious and satisfying and Ocean Beach was super beachy; not your typical foggy northern California too-cold-to-swim beach. After relaxing in the sand for quite some time, we made our way back to the campground. Heather was coming over for a Fourth of July barbecue and a good ol' fashioned wedding dress burning. She recently went through a very ugly divorce and was intent upon burning her wedding dress; John, of course, jumped at the opportunity to document the destruction. Plus who wouldn't want to help someone burn their wedding dress on the Fourth of July? After bacon-wrapped hotdogs and a fair amount of booze, the wedding dress went on and the sharpies and scissors came out for some cathartic defacing before the grand finale. Fortunately, we were the only ones staying at the San Mateo County Event Center, which is basically just a parking lot with some RV hookups. 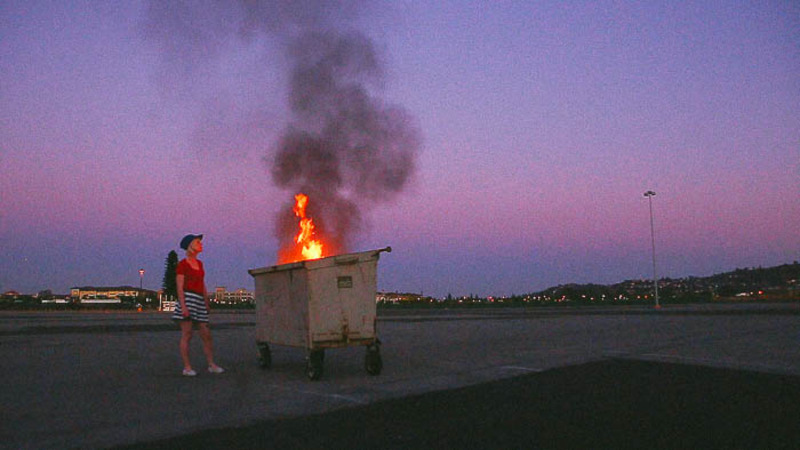 We grabbed one of the giant rolling metal dumpsters in the parking lot, threw the dress in, doused it with a fair amount of lighter fluid and set it ablaze. 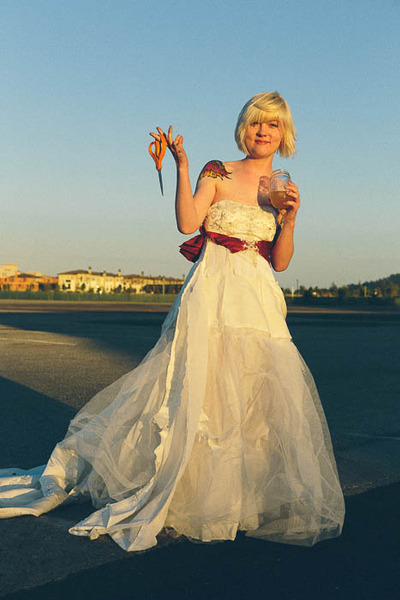 This particular wedding dress was especially flammable (who knew?) and the flames rose unnervingly high before we decided maybe we should dump some water on this inferno before things get out of hand. The fire was safely put out and there were only a few charred remnants of wedding dress left. Shortly after, the sun went down and the firework shows started. From our parking lot, we were able to see four different shows. 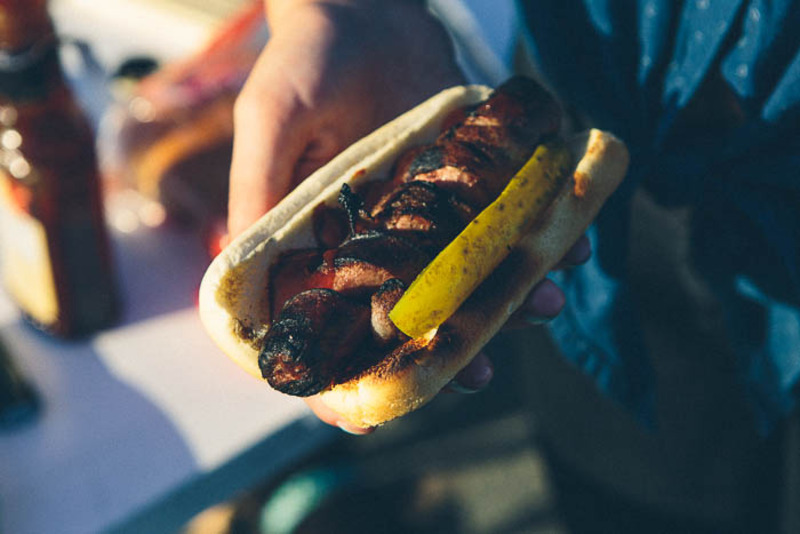 While we didn't have the most traditional Fourth of July, we still managed to celebrate with hot dogs, s'mores and fireworks. Our last afternoon in San Francisco, we drove across the Golden Gate Bridge to the North Bay, through the golden hazy hills of Marin County. 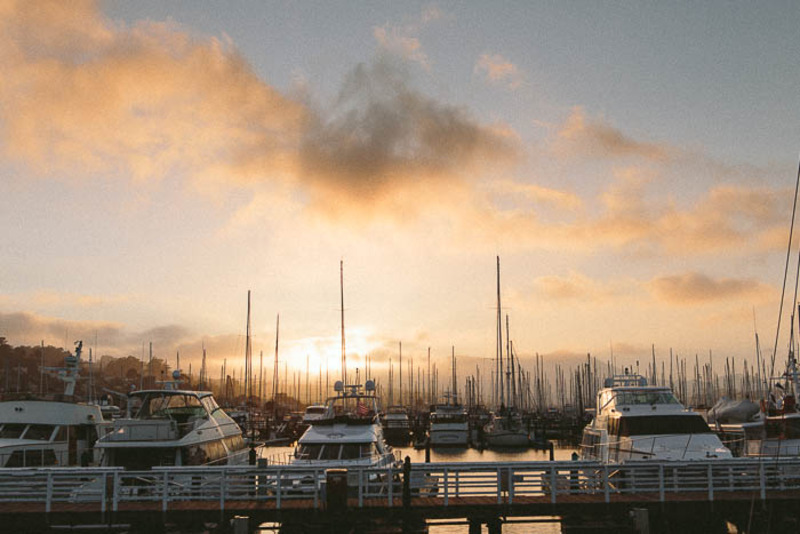 After stopping at a few scenic overlooks and parks to watch the sun getting lower in the sky, we returned to Sausalito to have a drink and a snack at The Spinnaker. 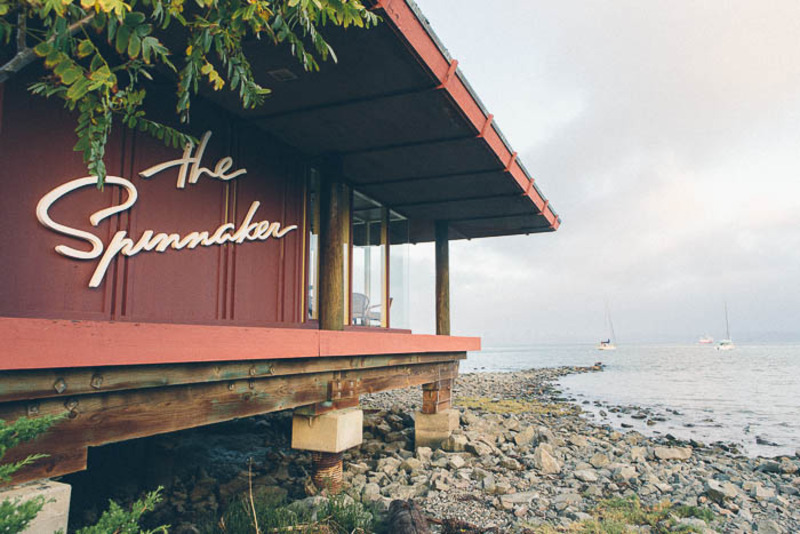 Perched at the end of Sausalito's boat docks with unobstructed panoramic views of the San Francisco Bay and the city skyline, The Spinnaker is known for its excellent views and local California cuisine. Slightly intimidated by the white tablecloths and uniformed waiters, we made our way to the empty bar and ordered cocktails and a cheese plate to share. A long mirror mounted above the bar allowed us to watch the sun go down over San Francisco through the floor-to-ceiling glass windows behind us. On our way back through the city, we had to make one more stop before leaving San Francisco: The Tonga Room. 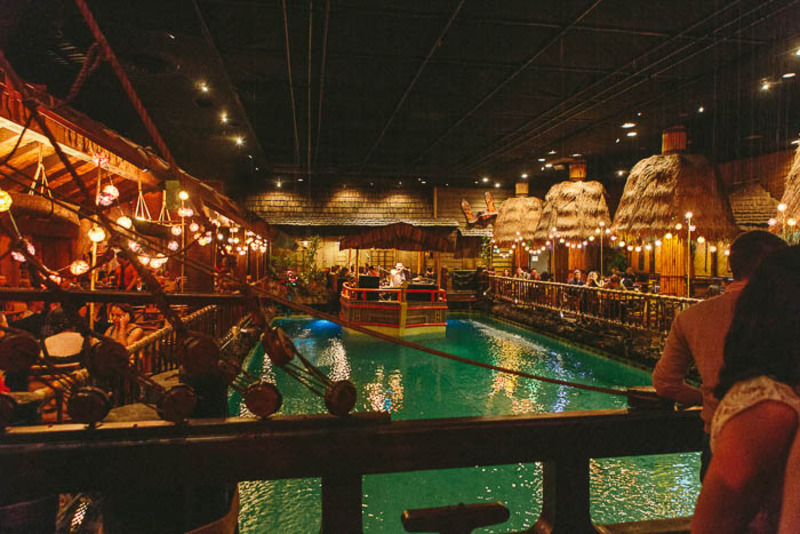 Located inside the Fairmont Hotel near Chinatown and in operation since the 1940s, The Tonga Room is a full-on tiki bar with tropical decor, a live band that plays on a floating barge on the lagoon, and periodical rainstorms complete with lightning and thunder. A total trip in the middle of San Francisco. When we arrived, it was packed to the gills with business men in collared shirts letting loose, wide-eyed tourists, bros looking to get trashed tiki-style, and bachelorette parties. We managed to find a seat at the bar and ordered a Zombie rum punch and a Mai Tai from an over-worked but skilled bartender. 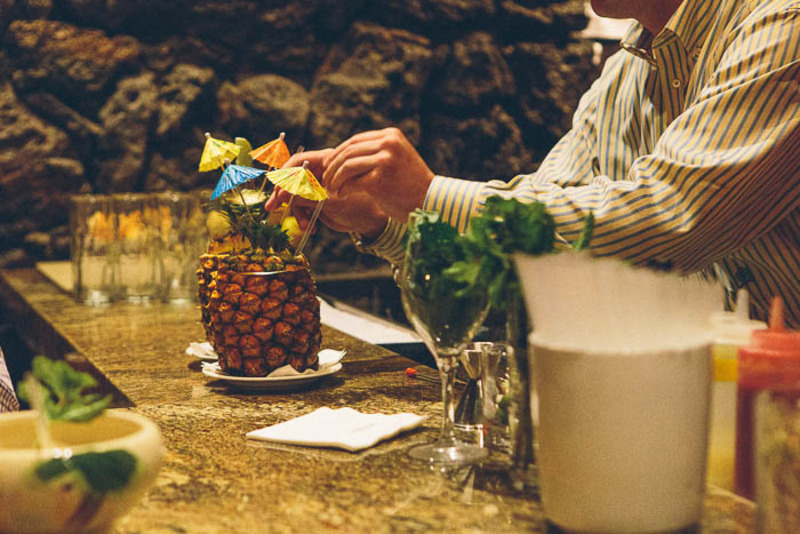 While sipping on our strong tropical concoctions, we watched cocktails being poured into hollowed out pineapples and giant punch bowls with multiple extra-long straws. Overwhelmed by the crowds (not really our crowd) and the pricey-ness of the cocktails, we polished off our drinks and got out of there. Overall, we had a fantastic time in San Francisco. 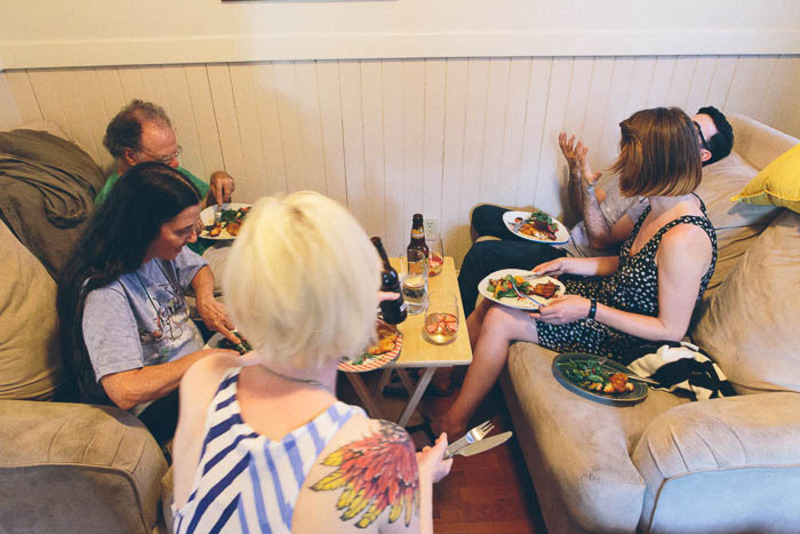 We were able to spend a fair amount of time socializing with old friends, which is a rare treat for us. We had the opportunity to explore the roller coasters streets of San Francisco and marvel at the beautiful pastel-colored Victorian houses that line every single block. The weather was excellent; unseasonably summery and warm, but we still got to experience the famed San Francisco fog, which I found hauntingly gorgeous. It was a city that both of us were most excited to spend time in and it didn't disappoint. But while we were there, we were reminded of the sense of hustle and bustle, that non-stop pace that goes hand-in-hand with spending time in a major city. 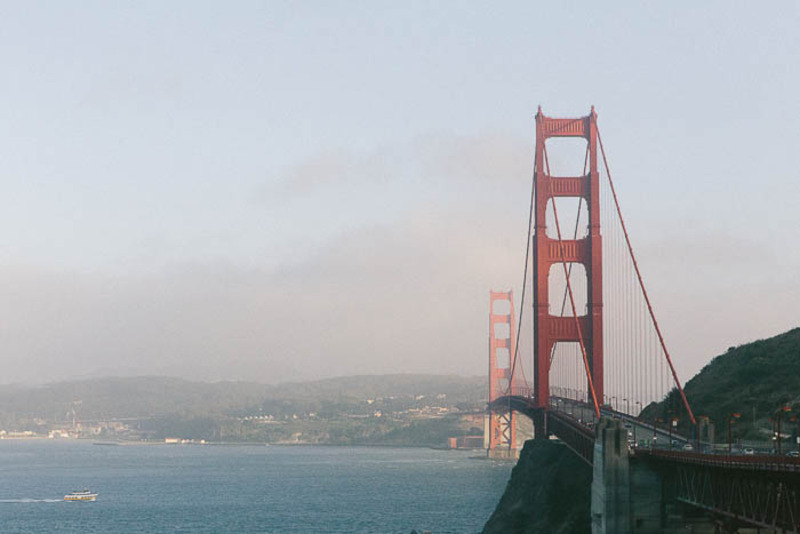 We both thought that San Francisco would be a logical next step in regards to where we wanted to live, but after being on the road for five months and seeing a whole spectrum of lifestyles, we weren't so sure that SF would be our next resting spot. Ready for a slower pace and some nature, we headed east to Yosemite National Park. Special thanks to Bonnie (who suggested Ferry Market), Cindy T. (who suggested Ride/walk across the GG Bridge, go to Sausalito, take the boat back to SF. DeYoung Museum, GG Park gardens), Alys (who suggested Have a cocktail with an umbrella in it and enjoy the indoor rain shower, complete with thunder and lightening. ), Bruna R. (who suggested Eat at Spinnaker and Blackies Pasture), and Lindsey M. (who suggested Walk, watch and listen.) for making this blog post possible!